Good sleep is supported with a comfortable mattress, if you sleep on a comfortable bed, you rest will feel perfect. There are many choices of types of mattresses for you to rest that you can make the choice to complete your restful sleep such as pads and toppers. If you are currently confused to choose which one is right to be your rest friend, here will be reviewed Mattress Pad vs Mattress Topper comparison which will help you. Mattress pad can be made into two-fold. First and most important, they are made to protect the mattress from stains and wear. Mattress pads fit somewhere like a fitted sheet, it’s covering not only the top, but also all four sides of the mattress. Secondly, some mattress pads include a filled top layer to provide extra comfort. For example, the Beautyrest Waterproof Mattress Pad is a high-quality, protective covering with a thin layer of polyester fill for an added touch of support. 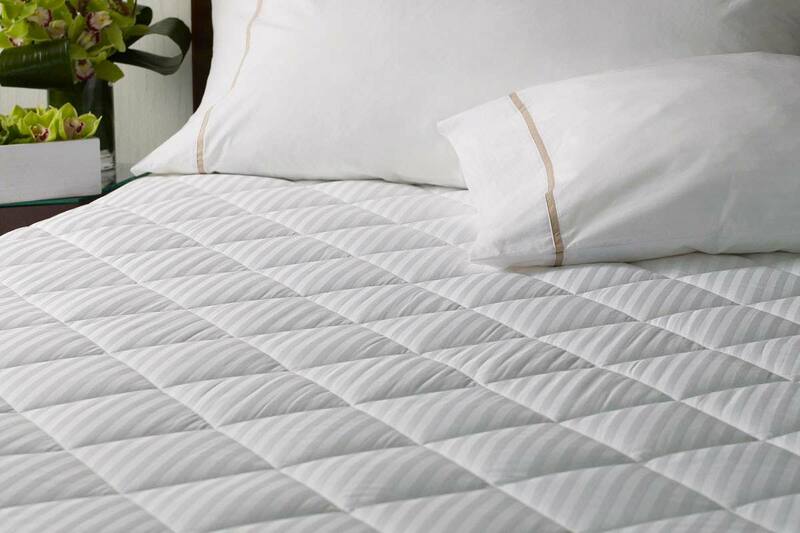 But a luxury mattress pad like the Magic Loft includes 4 inches of quilted filling on the top. A thick pad like this is the perfect choice when you want both the support of a topper and the protection of a pad. Mattress pads offer a greater variety of choices than toppers. Mattress pads stretch-to-fit side skirt, quilted top (if filled) and it’s machine washable. Mattress topper function is to provide an extra layer of comfort as it sits on top of the mattress. Unlike mattress pads which can sometimes be thin, toppers are typically thick, many up to 3 inches or more. The main reasons to select a topper include because you want to add a layer of softness to a mattress that’s too firm, or you need a firm layer on a mattress that isn’t supportive enough. Some mattress toppers have no securing devices at all, and simply lay on the mattress somewhat like a large pillow. The products such as the Sensor Loft 3′ Fiber Mattress Topper include anchor bands that secure the topper to the mattress and prevent shifting. Mattress Topper has anchor straps, gusseted sides, it’s stain resistance, machine washable, and also has baffle box construction to keep filling evenly dispersed. When it’s the time to choose between a mattress pad or a mattress topper, it really is a personal choice and all about how much you want to change the surface of your bed. For the final thought, you may choose mattress topper over mattress pad. 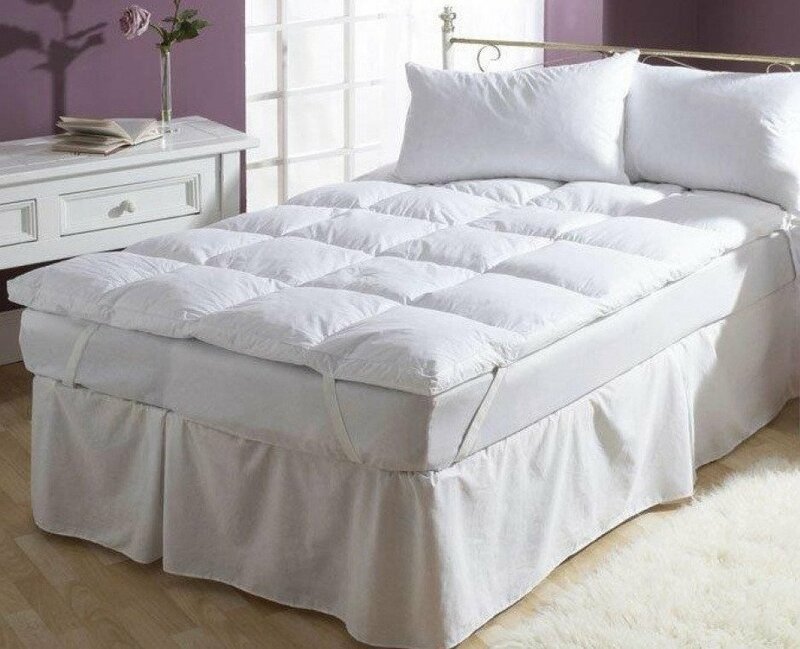 The mattress topper is great if you need to make a mattress firmer or if you require a mattress to be more supportive. A mattress topper is ideal for anyone with back pain, arthritis, or any body aches. The mattress topper will be much more supportive than any mattress pad.